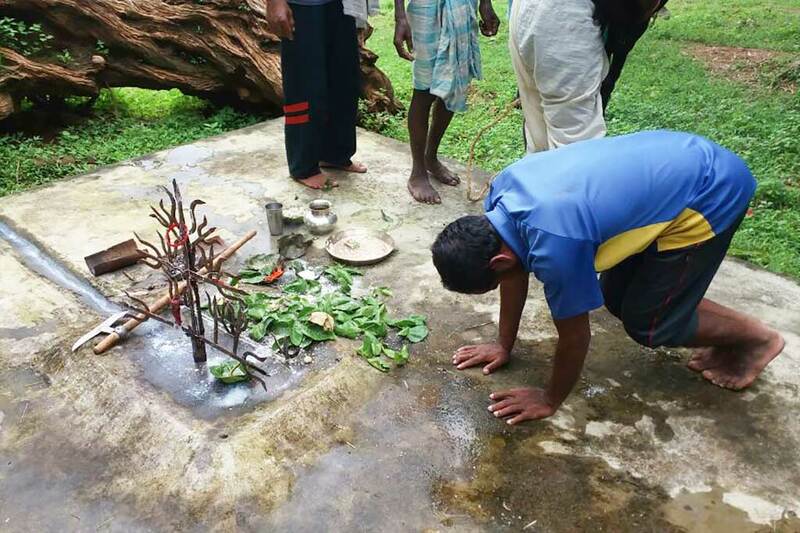 Traditional puja to call for the rains in Devgain, Jharkhand. 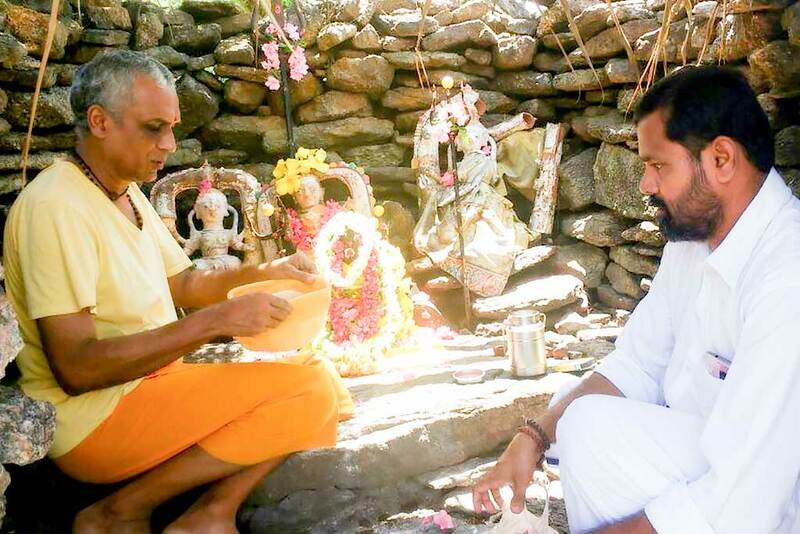 Traditional pujas are occurring throughout our villages to call for rains as the crops are sown. It is an ancient custom to pray to the God of Rain, be it under different names, to come and bless the newly sown crops with the water needed to sprout and begin the journey to a successful harvest. Prayers are also said to Mother Earth so that the farmers—and those who rely upon them for food supply—may have bountiful yields. The belief is that such rites, if properly performed with humility and gratitude, will bring happiness to the entire village. In fact, from the Vedic period comes Agnihotra (Homa Farming) which is performed on a strict and constant basis throughout the farming season. Sanskrit mantras are chanted at specific times of day before a holy fire. Timing is crucial. Ash from the pujas is used to energise composts, plants, animals, etc. It is a very inexpensive system, but requires discipline and regularity. A traditional puja is conducted at Sadivayal hilltop temple. The God is Sadiamman. The belief is once the puja is done correctly, rains will come.